For the first time in a decade, announcements of capital spending by automakers for their Canadian operations outpaced money pledged for Mexico, and by a huge margin: eight times. The total Canadian spending announced in 2016 was US $1.21 billion (CDN $1.57 billion) versus the US $150 million (CDN $196 million) that automakers said they planned to spend in Mexico, according to the Center for Automotive Research in Ann Arbor, Mich. That still pales when compared to the US $5.76 billion (CDN $7.33 billion) in announcements of capital spending for U.S. operations in 2016. CAR tracks annual "announced spending" although work on those projects will not begin until months or years later. The researcher has yearly totals dating back to 2006. Most of the Canadian spending pledged in 2016 was tied to three new collective bargaining agreements between the union Unifor and the Detroit Three automakers, which have a number of factories in Ontario. Unifor represents about 23,000 auto workers in Ontario. $150 million by Toyota in Mexico. $532 million by Ford at its Oakville, Ont., and Windsor, Ont. operations. $417 million by General Motors for upgrades at three sites in Ontario. $259 million by FCA at two locations in Ontario. 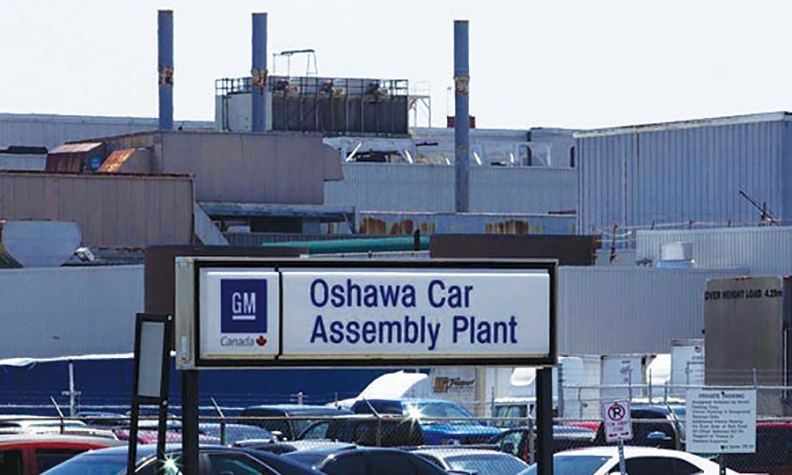 GM’s plan to spend US$10 million to upgrade its cold-climate research centre in Kapuskasing, Ont., were announced prior to contract negotiations and are not tied to the new collective agreement. New plants in Mexico, U.S. Since the recession that began in late 2008, automakers have built 10 new assembly plants in North America. Eight have been built in Mexico and two in the United States. Both Canada and the United States are coming off record sales years in 2016 but forecasters are expecting a plateau, Swiecki said. “When you’re at a peak and about to plateau, you don’t need to add capacity,” he said. For that reason, announcements for operations in Mexico “all but came to a halt in the third quarter of 2015,” Swiecki said. Automotive Parts Manufacturing Association president Flavio Volpe also called the increase in announced spending for the Canadian industry “an issue of timing” more than anything else. In a report released Jan. 18, forecaster LMC Automotive predicted Canada will be the only country in North America to see a decrease in “production-capacity investment” by 2020, suggesting a four-per-cent decrease over the four-year period. Volpe said yearly production capacity in Mexico will rise to five million units by 2025 up from the current 3.5 million units. There might be some softening between 3.5 million and five million, but Canada’s volume isn’t going to increase, Volpe said. “I’d never say never on new capacity in Canada, I just can’t see it happening in the short term,” he said. That’s already happening with BlackBerry’s QNX unit developing autonomous vehicles in Ottawa. In January, the company said it was working to get automakers to use its programs for self-driving vehicles as well as in a bid to keep its products central to the evolution of car technology.